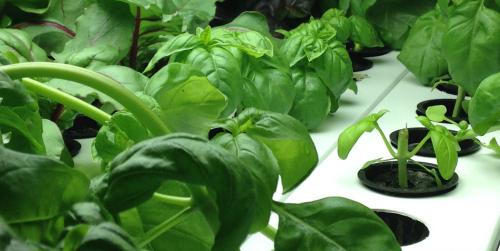 Did you know there are multiple benefits to growing vegetables hydroponically? The Pennsylvania start-up VEG-E Systems (Vertically Efficient Growing Environment Systems) is taking full advantage of vertical hydroponic systems and growing technology. These progressive growers are able to supply fresh food to their local markets year-round. This growing process is environmentally controlled in an indoor facility with various types of lettuce, kale, and herbs being produced. The best part of vertical hydroponics systems is that not only do they allow for more growing at once, but the food tastes fresher, lasts longer, has greater nutritional value, is pesticide and herbicide free, and is non-GMO. VEG-E Systems came to be as it was shaped through a health-centric and entrepreneur-focused company, Novotorium. Because controlled gardening systems like VEG-E Systems aren’t exposed to the elements, the need for pesticides is greatly reduced. As well within a controlled environment there are many other factors that improve the overall taste and quality of the produce. This also includes the nutritional value of the vegetables grown. Vertical hydroponic systems and indoor growing operations are cropping up all over North American cities. It’s easy to understand why when you learn of the valuable results such as those from VEG-E Systems. It also has a positive impact on the local community and business development, being able to supply the food to restaurants, supermarkets, and through Community Supported Agriculture programs (CSAs). Scaled vertical hydroponic systems are available to consumers for their homes, within any hardiness zone, during any time of year. It’s the easy and efficient way to get all the fresh produce you want and have fun with gardening. For more information on how to get your own customized vertical hydroponic system contact [email protected] today and get growing! Feature Image: Basil plants grown by VEG-E Systems. Photo by Lynne Goldman, 2014.